Click on the job for your preference, let’s take Retail Sales Representative as example, if you find yourself matched with the majority of qualifications, own the required responsibilities, then click on “Apply “ to continue. Usually the website requests to register for the first time to apply on it, fill up necessary information to sign in. After signing in, you can continue to apply. 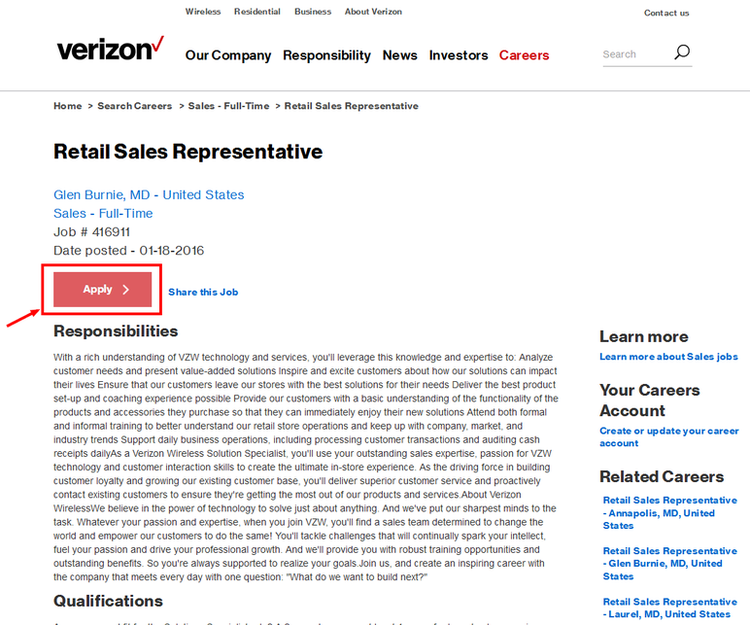 Verizon provides two options to apply online, apply using a resume and without resume. If you have a resume, choose the first method. We’d like to demonstrate applying without resume if you don’t have a resume. 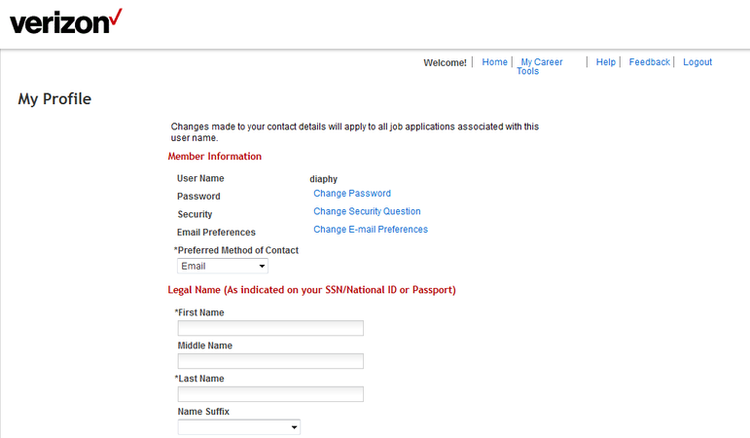 Select “Apply Without Using Resume”, you will get a My Profile page like below. Fill up all the required information and click red “Save” at the bottom of the page. After step5 you will skip to a page like below. Above the page there is progress bar which you can check your completion status. Generally speaking the employer allows candidates to apply more than one position online, and you can check your application status in the “Job Basket”. Finish all the necessary information in the checklist to complete your application. 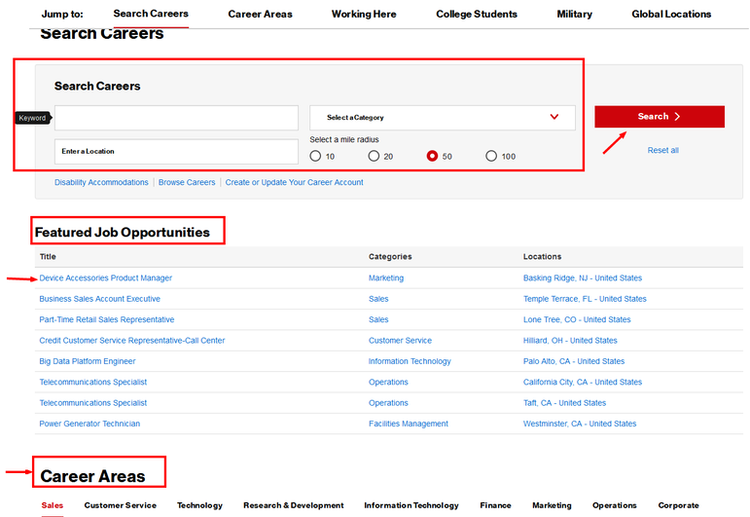 Click www.verizon.com/careers to apply for Verizon jobs online.